A new restaurant from Scott Plank‘s War Horse Cities LLC will open on the Canton waterfront next week. Both the restaurant and pool will be run by War Horse Hospitality, the development firm’s new hospitality arm headed by former Dean & Deluca Managing Director Jay Coldren. The menu at Button will offer “an elevated take on classic American fare,” with food that’s locally sourced, according to War Horse. Sample dishes include the “Button burger,” served with applewood-smoked bacon, aged cheddar, and onion jam; Old Bay wings with creamy herb dip; wood-fired pizzas and a variety of seafood, sandwich and salad options. Brunch will be offered on the weekends. The 1,900-square-foot restaurant will seat 75 people inside, and will also have 20 harborside seats as well as 45 seats on an elevated dining deck looking out over the marina. A “boater’s lounge,” with design emulating the interior of a yacht, will serve cocktails like wild berry mojitos and Sagamore sours. The restaurant will be led by Chef Allysa Storms, formerly of Charlie Trotters, The Dutch in Miami, BeachCraft and Barcelona. 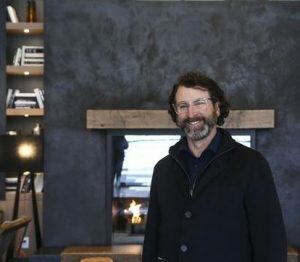 Updates to the space, designed by D.C.-based set designer Andrew Cohen, cost $500,000. The restaurant will be open from 11 a.m. to 11 p.m. Monday through Friday and 10 a.m. to 11 p.m. on weekends. Canners Row, the former tenant, was evicted in April after War Horse Cities said the bar and restaurant hadn’t paid rent for several months. The space is part of a swath of waterfront properties that Plank, a former Under Armour Inc. executive, acquired last year for more than $22.5 million. You can see the full article in the Baltimore Business Journal here.